population of wild hogs in the US. sport and their meat, and are even served at restaurants. landscaping and obliterate a garden. 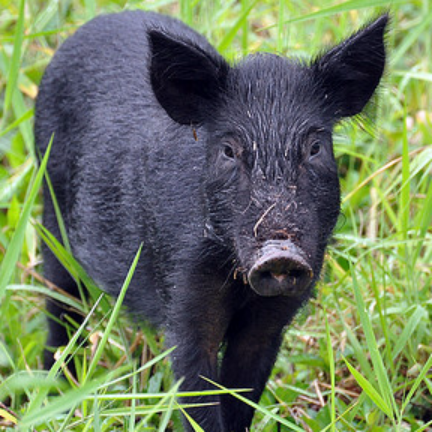 safely remove the wild hog from the property. abortion. In humans, the disease may cause symptoms similar to severe flu, and may be the cause of meningitis or arthritis. types, including domesticated pets such as dogs and cats. It is not related to rabies and it does not infect humans. the rest of its body. The coat is made up of stiff bristles, and the color varies quite a bit, from dark grey to black or brown. and if one is spotted, you should call a wild boar trapper or wild hog animal control specialist as soon as possible.